It’s mid afternoon, your energy is running low, and you simply need to indulge in something sweet. But you don’t want to load up on something excessively sugary, and crash an hour later. 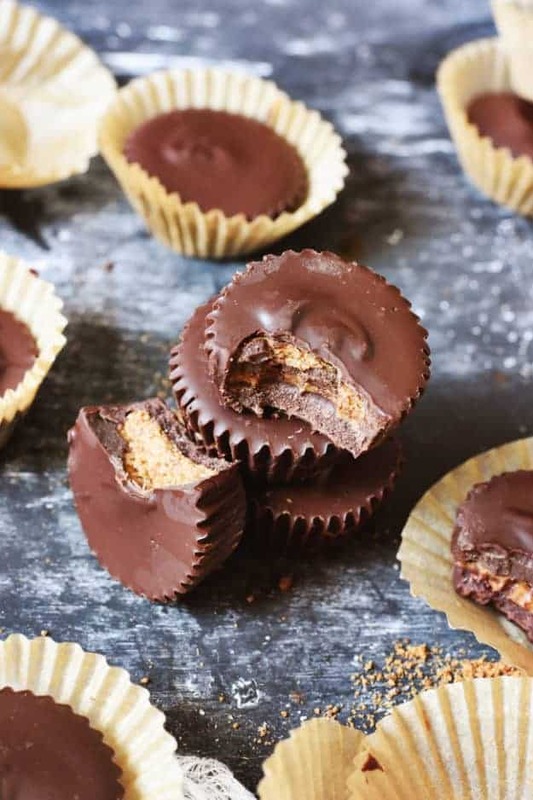 Say hello to these vegan dark chocolate almond butter cups! So, want to hear something mildly depressing, but might also be the greatest thing to happen to my health? I think I might have postpartum gallstones. Anyway, the moral of the story is I try the best I can to make “clean” desserts and meals when I can. But that still look and feel indulgent. I’m a believer that those two things aren’t mutually exclusive, and I’m on a mission to prove it! 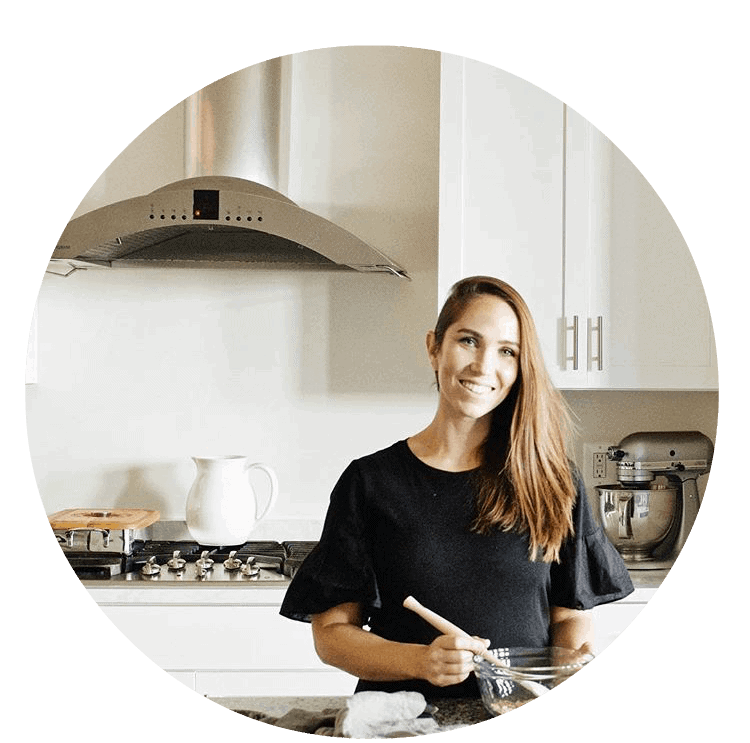 However, I have also learned my limited as a mom of three, and sometimes it’s easiest to dump a can of condensed soup, meat, and frozen veggies in a tray and make chocolate chip cookies for dessert. It’s all about the balance and listening to what your body needs. 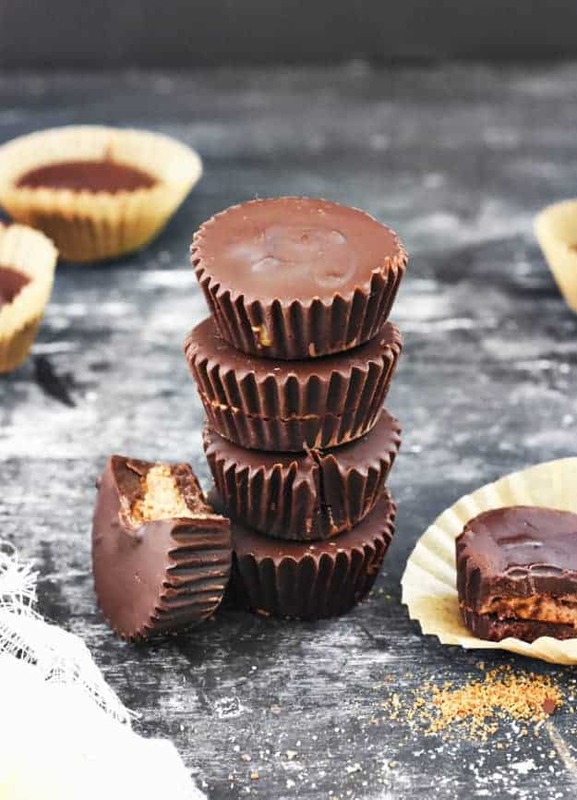 Now, go grab the recipe to these vegan dark chocolate almond butter cups. And be sure to tag me on Instagram if you make them! Enjoy! Need a decadent and healthy dessert? 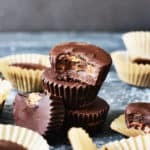 Make these vegan dark chocolate almond butter cups. Only 5 simple and clean ingredients and taste just as indulgent as any peanut butter cup! Line a mini muffin tin with baking cups. Spoon 1-2 teaspoons of melted chocolate into each cup. Use a spoon to slightly mold the chocolate up the sides of the cups. Chill in refrigerator for 10-15 minutes, until mostly solid. 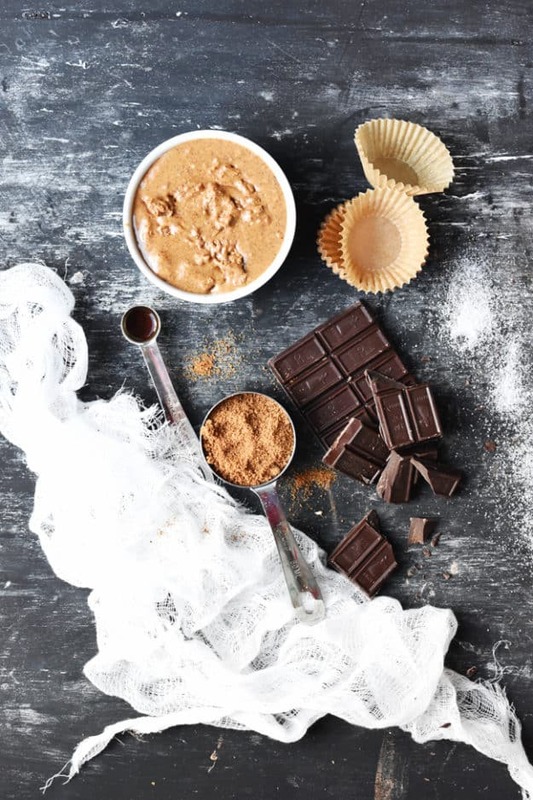 Mix together almond butter, coconut sugar, vanilla, and salt in a small bowl. Add a teaspoon size ball to the center of each chocolate mold. Tamp down gently with your finger, making sure to leave a ring around the edge. Melt the remaining 4 ounces of chocolate. Spoon 1-2 teaspoons of chocolate onto each cup until fully covered. Chill in refrigerator 20-25 minutes until set. P.S. I used this mini 12 tin cheesecake pan and these natural mini paper liners to make perfectly bite-sized cups! These look so amazingly delicious!! Your pictures make me want to reach right in and grab on. I guess I will just have to make them. Delicious!! Will definitely be making these…thank you! !